Have you heard about the pink salt? And have you wondered why it’s pink? Have you been thinking of making the switch to Himalayan salt, but just haven’t done it yet? 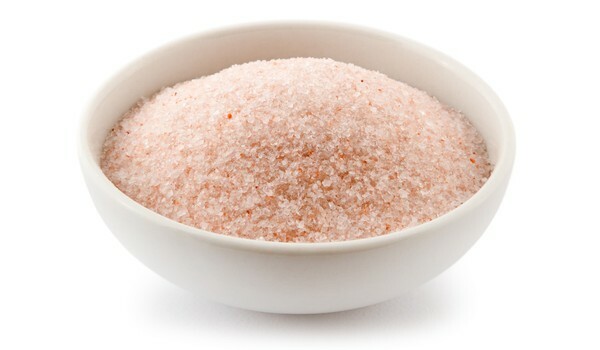 Once you read this article you will be fully on board with Himalayan salt for sure. Learn why and learn its amazing health benefits. It’s not inexpensive but wouldn’t use anything else! PLEASE USE SALT WITH IODINE! Yes, and the truffle one you have is, too. it taste better as well. I use it. Would like to think the pink isn’t rust from the iron as I have read! it’s great but you have to find other ways of getting iodine! All great info but don’t put slabs in water, they will dissolve. You can clean with a spritz of vinegar. Seafoof, Kelp and Seaweed (dried). All good sources. Great healthy solutions post. Thanks for the info. Used it in my baking this year. Hubby said it made the cookies REALLY good this year. It really isn’t bad at all. How much do you buy at a time and how much do you pay? I’ll compare it to what I found.